Over the past few weeks most of the blog posts were about link building. With this post we will conclude the link building series as the main topic. We will cover some new grounds and revisit the ones we already covered, basically we will focus on everything a link building campaign needs from start to finish. You need to set all of these things before you start with your link building campaign. There is no “if” here; these are the very basics to get started properly. Most of these things are easy to implement even later, but starting with them will make your life a lot easier and your link building process smoother. When starting a link building campaign with your targets and phrases already laid out you first need to focus on obvious link opportunities. We are not talking about competitor backlinks only, so pay attention. The idea behind going for these types of obvious link opportunities is to get some quality links going for you from the start. You can find many more obvious opportunities by engaging in your targeted social networks. Start with local networks, focusing only on Twitter and LinkedIn has its benefits, but for the ultimate success and proper branding you need to think and act local. Try to connect with each and every of associations and partners you have so far and try to find new ones to connect to and get links from. Next are directories. Links from high quality and niche directories are essential and in most cases not so hard to get. Aside from few top directories which can be hard to get in, most niche directories can offer you some quality link love and even some traffic. But there is a trick to using directories, and we are not talking about a direct link from directories, but actually looking for prospects. Although a few links from directories are great, the best benefit to directories is that you actually have a list of related sites that you can try to get links from. Before you start with keyword searches your best bet is to go to DMOZ or other top directories or choose a niche directory and start browsing. The last step regarding obvious link opportunities in your link building campaign is news and media mentions of your brand. Unlike setting an alert for your main keyword, having alerts for your brand name is one of the best ways to score some easy links. This doesn’t only apply to news and media, but also blog sphere. Monitoring your brand is an essential step in online marketing, this why whenever someone mentions your brand you can drop by and leave a comment or ask for a link directly. The same goes with brand images and logos that are used but not linked to your website. Once you go through the obvious opportunities and score some links the next step and most of your link building will fall on using search engines to find link opportunities. We covered some search query examples to find related sites and linking opportunities using your main keywords and MDK keywords. The next part you should focus on are lists and resources. These are very easy to find and they can lead you to some great pages with plenty of website you can use, just like directories. The rest is simple keyword searches for your area of focus, like “keyword community” or “keyword blog” and “keyword directory”. Link building is not as hard as some people make it to be. If you want to have a successful link building campaign you first need to lay done some fundamentals, create a plan with right targets in mind and get to work. If you follow the tips in this post or the blog in general you should already be able to run a successful link building campaign on your own. And one last note, be creative, think about new opportunities and things I might have missed, there is always something new to explore, and that is up to you to find it. And make sure that you use the power of social networks; they are the link building platform of the present and the future. Its not just SEO that helps, many SEO’s argue that On-page SEO meaning that the proper SEO oriented web design is also required for the websites to make maximum benefit of the link building process. However, as far as my campaigns are concerned, I prefer having manual link building rather than tools or anything else. I agree with the above commenter, I feel like nothing can replace manual link building by hand. Although the best method is to strike a balance; I also employ some SEO tools and programs. A combination is necessary for the most complete linkbuilding strategy. Over all this is a great overview for starting your linkbuilding campaign. I agree manual linking is important. I feel the best way to build great links is to be out there communicating with your fellow bloggers. Thank you for sharing. I don’t know everything about this, It took me to months before I step on this idea. Link building is fun when you are really communicating or contributing to the topic. I found this post more advanced idea. I’m sorry because I am not really familiar with linkerati and DMOZ. See this often but I’m not interested. Maybe I should give time to know what it is. Hmmm…now I must admit that the testimonials suggestion does intrigue me. 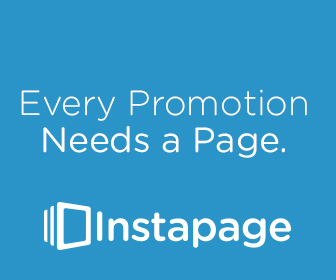 Find landing pages that contain high PR testimonials and write one for it and submit it. Sounds a little BH but undoubtedly effective none-the-less. Thanks for the suggestion, Zarko. I highly recommend to visit Myblogguest community where you will find a lot of blogs that accept guest posting. I didn’t try it before. Is it worth to register there? First write a few comments on their blog so that they would notice you, follow on twitter and RT their stuff and send them a few lines. After you feel comfortable send them a mail with a proposed topic for the guest post, even better, send them titles of the articles you had in mind and ask them if they are interested or maybe if they would like for you to cover something else. I have a friend who has multiple sites – some of them are high PR. Would you believe it when I say that while he spends a lot of time building links to his new sites, he had not even given a single link from his OWN high pr site. It took an outsider (me) to point something so blatantly obvious.